It’s just a few months since the success of “Always Be My Maybe”, and right now, one of today’s most admired leading men in Philippine TV and cinema, Gerald Anderson once again makes a big noise with his upcoming sure-fire blockbuster hit, “How To Be Yours”. This time, he will be teaming up with no other than Bea Alonzo, another top-placer in the list of the most successful and well-loved artists in Filipino show business. With this remarkable tandem of two undeniably big stars of this generation, there is no doubt that this 2016 romantic movie will be among the year’s biggest noise makers in the Philippine box office, especially knowing the fact that it’s another Star Cinema hit. “How To Be Yours” basically tackles the story of a couple whose relationship gets torn apart by career issues along with both parties’ ego and emotional hang-ups. The movie is actually the very first project that Gerald and Bea work together as a love team, something that many fans have once thought as impossible to happen. This is mainly due to the fact that the two Kapamilya stars have undergone some controversies in the few past years. 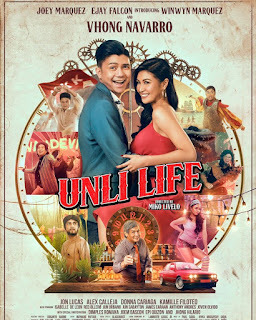 Other than Gerald Anderson and Bea Alonzo, this upcoming romantic film stars Janus Del Prado, Nicco Manalo, Anna Luna, Jerome Tan, Alex Vincent Medina, Bryan Sy, and Devine Aucina. What makes “How To Be Yours” a movie every romance fan should never miss is that it was directed by Dan Villegas, the director very much known for his tremendous success in her previous masterpieces like “English Only Please”, “#WalangForever”, “The Breakup Playlist”, and “Always Be My Maybe”. These and more make this ultimate rom-com movie of the year worth the time, effort, and money to go to the nearest theater to see this movie on July 27, 2016.